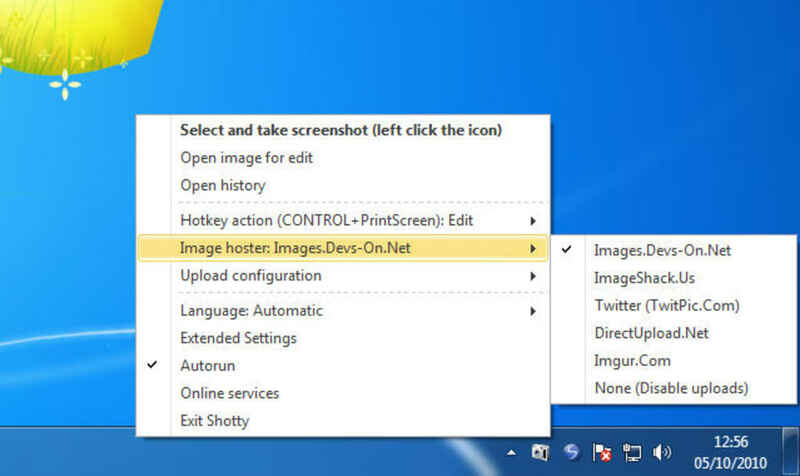 Shotty is the perfect companion for all those of you who share screenshots online: a quick, easy-to-use image capture tool with convenient sharing capabilities. Once installed on your system, Shotty sits unobtrusively in the system tray. 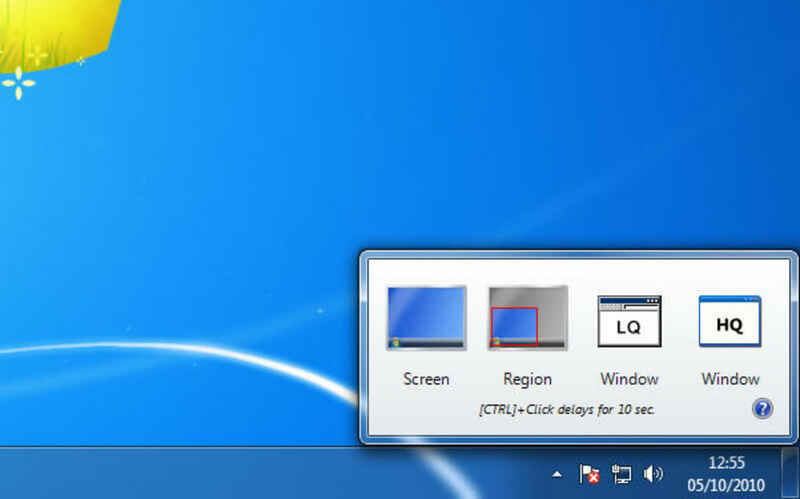 The program icon gives you access to its image capturing functions – with a left click – and also to a context menu with configuration options with a right click. 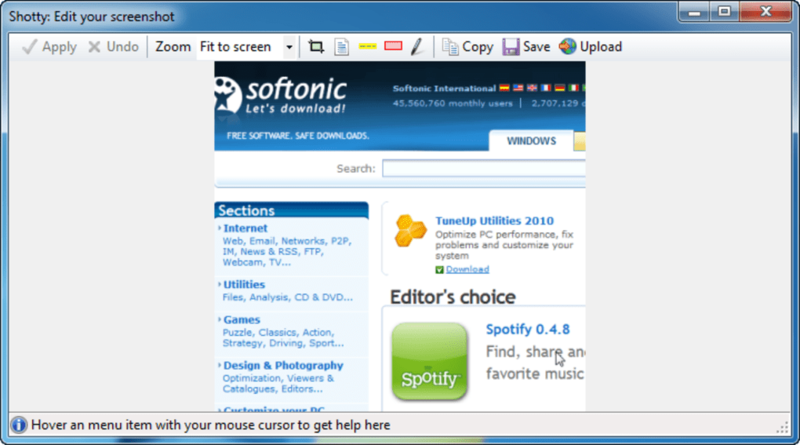 Shotty lets you grab the whole screen, a selected area or the currently active window, and save the captured image to your hard drive. 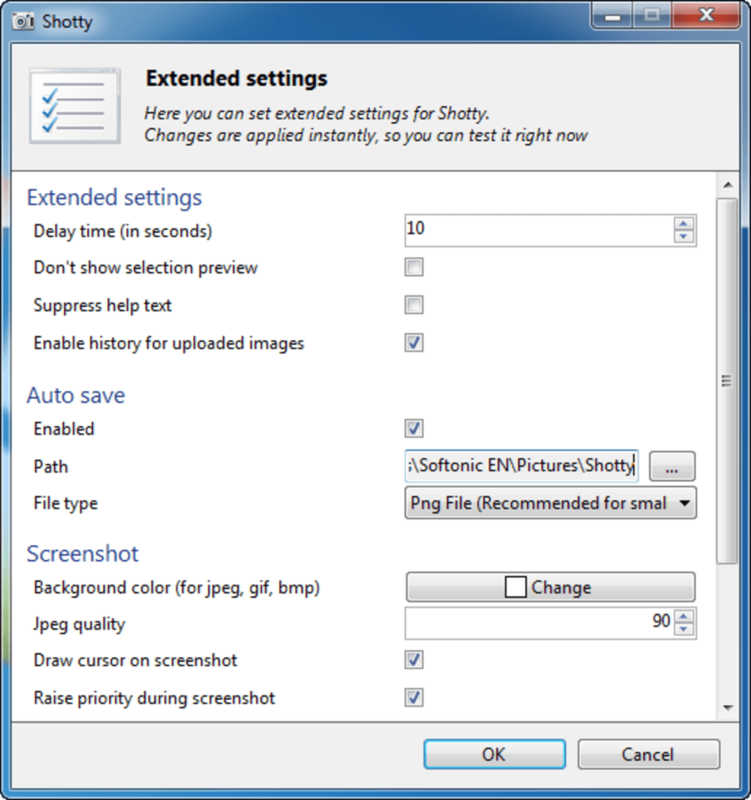 As an extra, Shotty supports transparency effects in Windows 7 and Vista, which is very useful if you plan to save these images as .PNG and edit them later on in Photoshop. If you only need to do some quick editing, such as cropping, adding blurred areas or marking important spots on the image, you can use Shotty’s built-in editor. 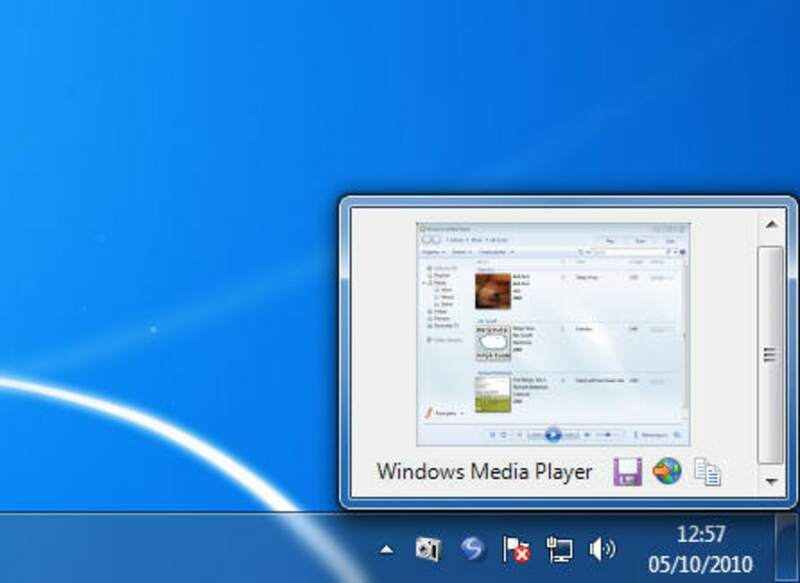 But the best feature in Shotty is undoubtedly its ability to share the image online right away, uploading it to one of the photo sharing services supported by the program: ImageShack.us, Twitpic.com, DirectUpload.net and others. 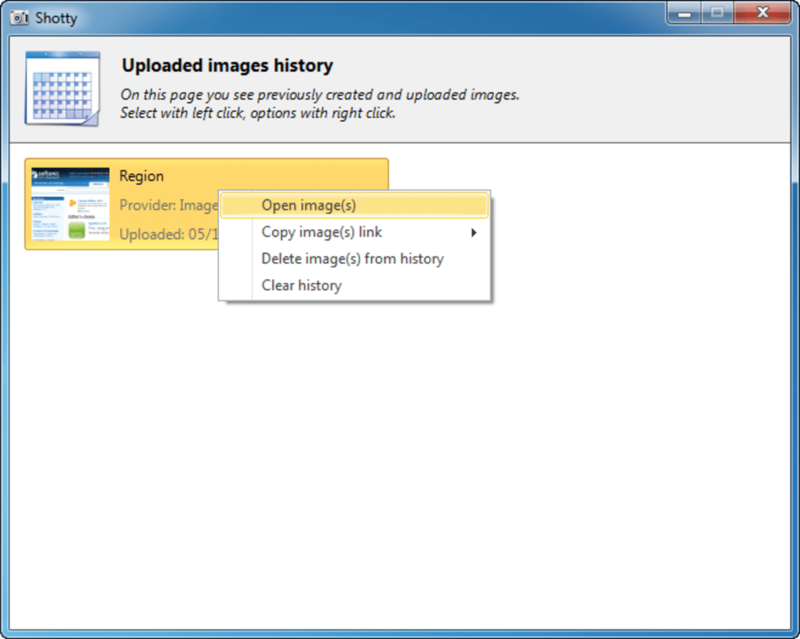 Unfortunately the behavior of this feature was a bit erratic, as it didn't seem to work properly unless you enabled the 'Show configuration before upload' option. With Shotty you can easily capture an image on your desktop and share it online in just a couple of clicks.